I’ve loved liked rock and heavy metal music since I was in school. “Trendy” schoolmates were more or less divided into two camps. In one corner, were the Canto-Poppers who adored Anita Mui, Leslie Cheung, Alan Tam, et al. They were easily distinguishable in their baggy Ali Baba pants and shirts. 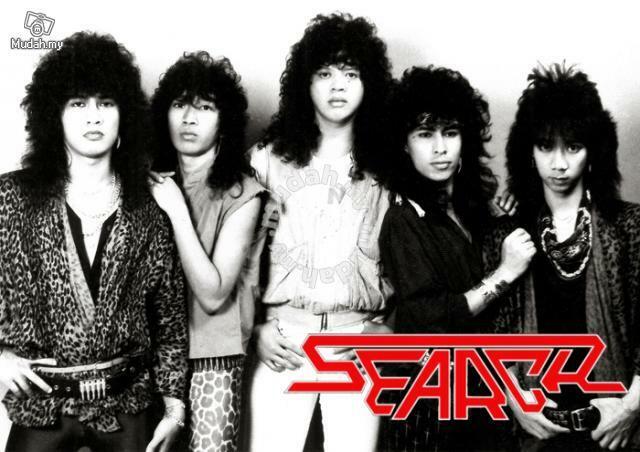 In the other corner were the Mat Rock (rockers) who headbanged to Search, Lefthanded, BPR, Wings, Iron Maiden, Metallica, Megadeth, Bon Jovi, Guns ‘N’ Roses. Their hairs were “slightly” longer (or thicker if they can’t keep it long), high-top shoes, tight shirts, and especially low-cut pants so tight they couldn’t bend their knees more than 10 degrees. Yes, I was definitely in the second group. Then in 1991, Nirvana released their revolutionary record: Nevermind. Rock music was suddenly turned on its head. Gone were complex arrangements and guitar solos of rock gods such, replaced by the basic, guttural, rebellious sound of grunge. Grunge soon led to NuMetal and all other sub-genres such as Industrial Metal were born. The German band called Rammstein is the leader in Industrial Metal, popularized through their song Du Hast (You Have). But I could never get the song. No, I’m not referring to my illiteracy of Deutsch but the whole arrangement and direction of it. I guess I’m firmly locked into old school (like in the movie School of Rock). 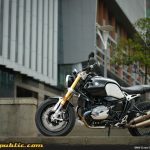 BMW Motorrad have long attempted to capture a solid foothold in the retro market, not from lack of heritage since BMW Motorrad had many iconic motorcycles in past years. There were so many, in fact! 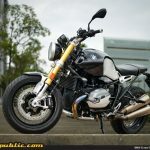 The modern BMW R nineT, however, harks back to the 1973 R90S. 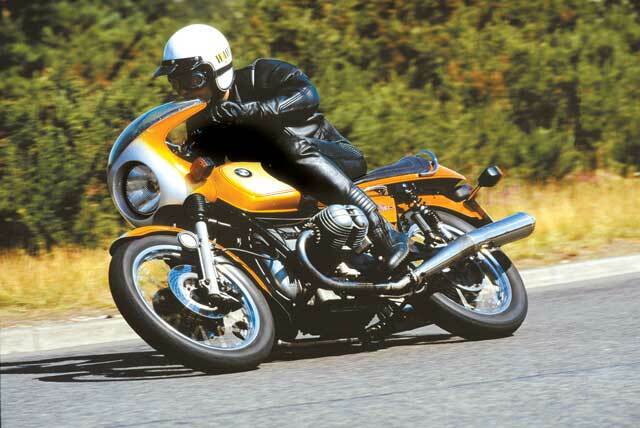 The R90S was the bike which won the inaugural AMA Superbike Championship in 1976, ridden by Reg Pridmore. 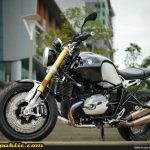 With BMW Motorrad’s 90th anniversary looming 2013, the German firm needed a motorcycle to commemorate this important milestone, and they wanted an old-school, air/oil-cooled boxer-twin engine, housed in a roadster form. 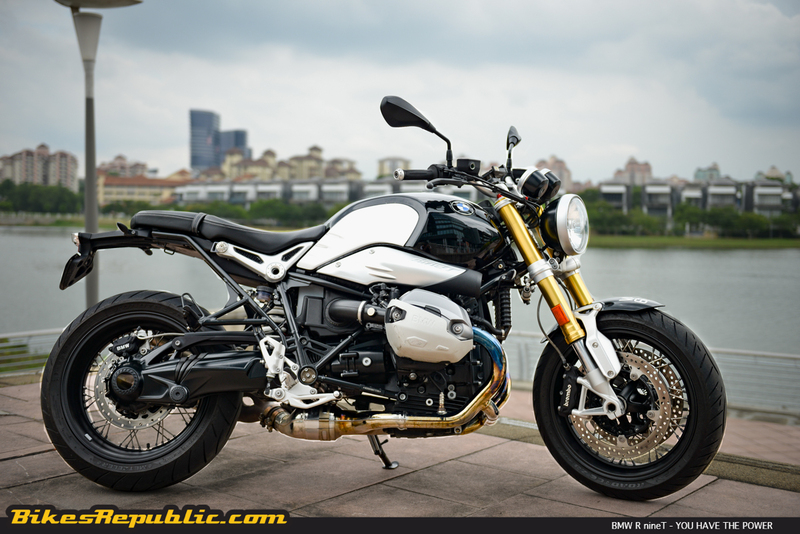 The BMW R nineT was designed by the current BMW Motorrad Chief Designer, Ola Stenegard and his team. 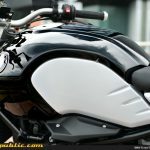 Stenegard had penned the basic looks of the model and then spoke to renowned motorcycle designer Roland Sands (he of RSD) to fine tune the final design. 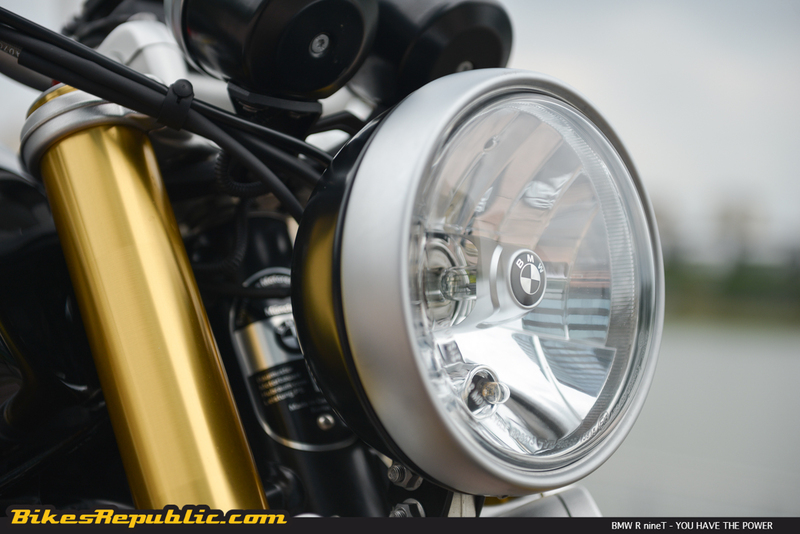 In fact, Stenegard is a classics, customs and café racer enthusiat through and through, although he also penned the S 1000 RR. 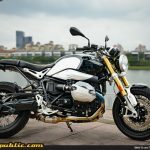 So, the resulting BMW R nineT was not only a homage to past icons but also became a blank canvas for further customization. 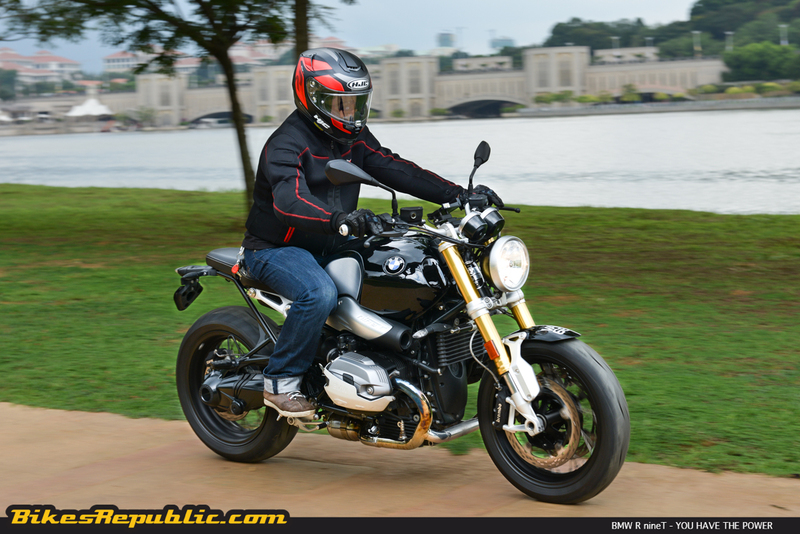 Which begs the question: What is the R nineT we tested here? 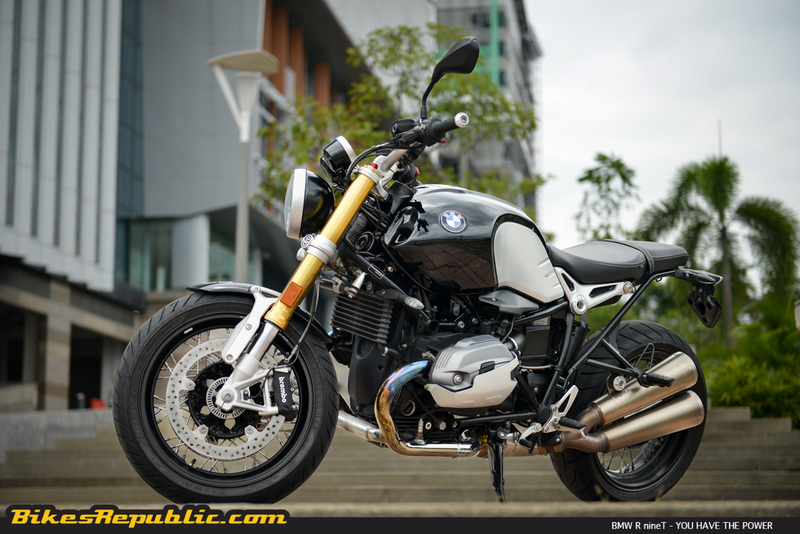 Well, I’d personally like to call it a ol’ skool roadster with a modern twist. 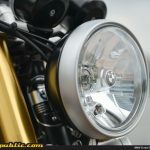 It hads the lines of a classic in the tank and short seat, but it also had all modern details such as the intake snout, adjustable forks, radially mounted Brembo calipers, ABS and Paralever rear suspension set up. 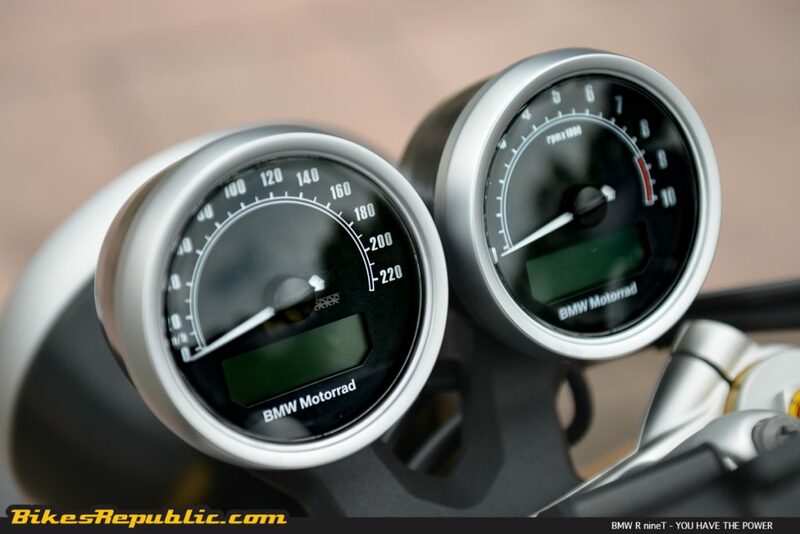 From the seat, you come face-to-face with the dual analog dials set in handsome polished aluminium bezels. 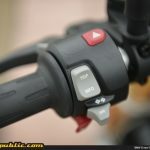 There is a small LCD screen at the bottom of each dial. 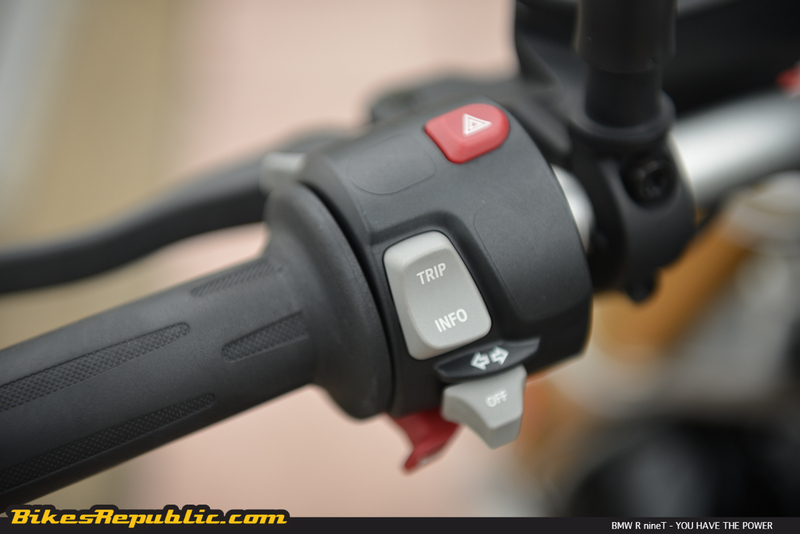 Controls on the handlebars are minimal, consisting of just one extra INFO button besides the customary ones. 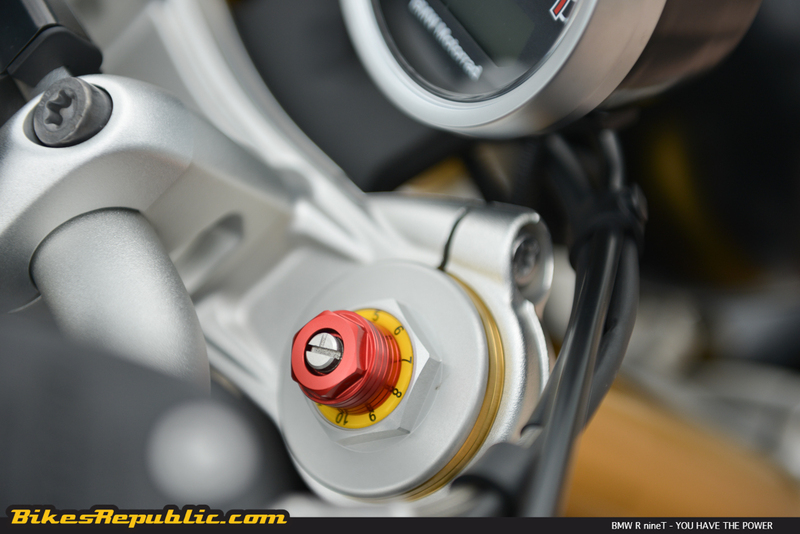 There is no RIDE or POWER mode, although ABS is standard and non-switchable. 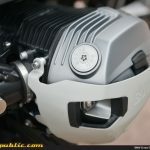 The handlebar is really wide, almost like that of the R 1200 GS, but set further ahead of the long fuel tank. 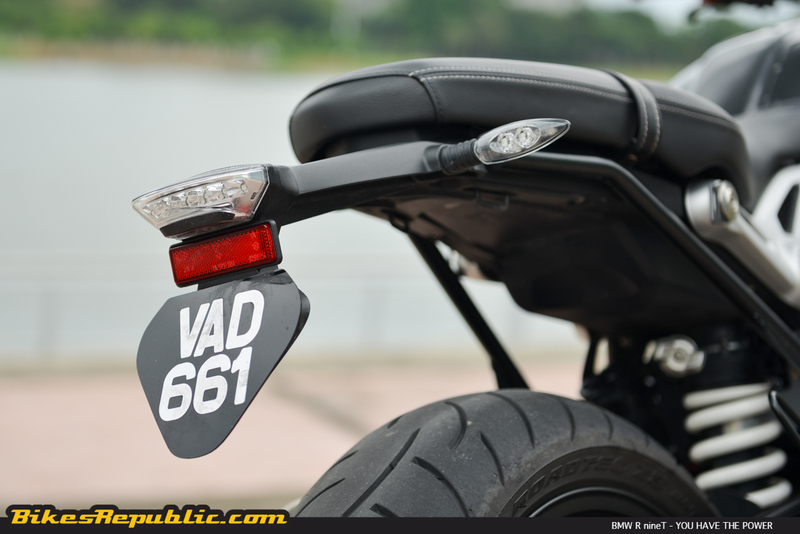 The relatively short seat has a novel feature. 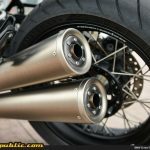 the subframe underneath it supports it completely, while the bars attached to its bottom part from behind the swingarm pivot acts to carry the passenger’s footpegs can be fully removed. This is surely a feature for customization. 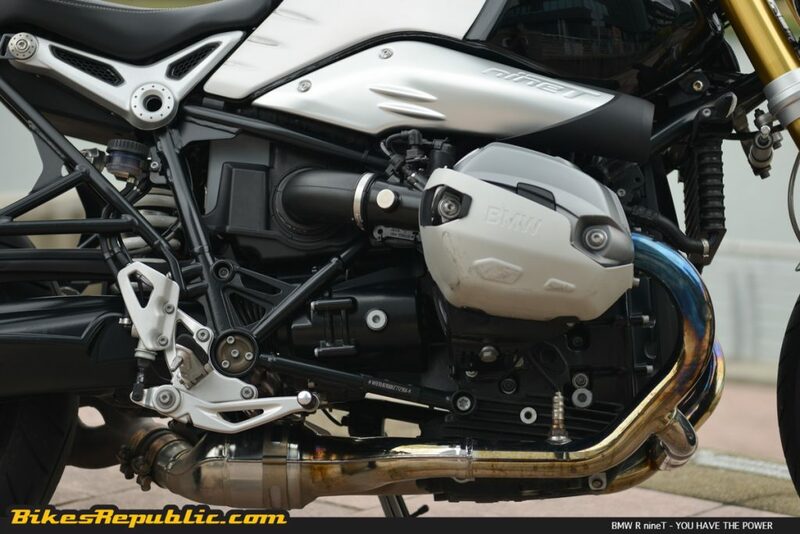 Seated firmly on the bike, the engine comes on in loud BRRAOOM! 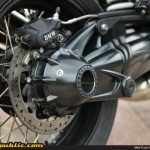 while kicking to the right as if someone had knocked into the left side of the bike. 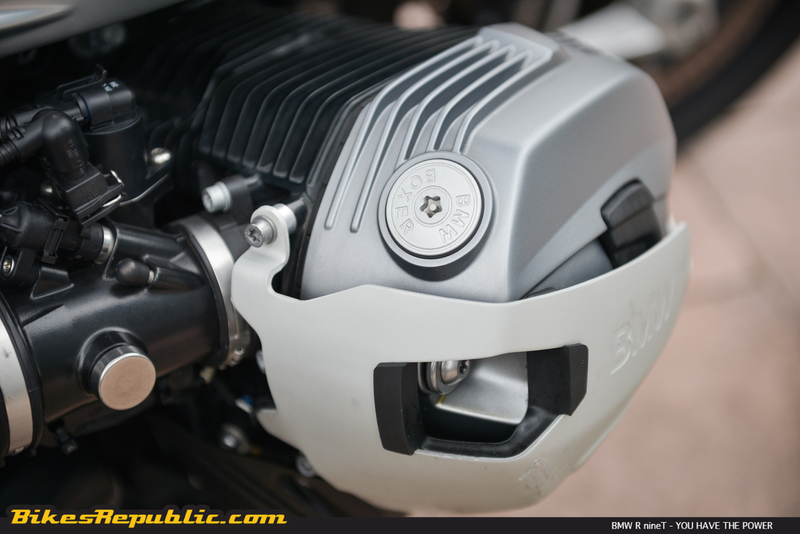 It’s the same when you rev the engine at standstill – the bike kicks to the right, courtesy of the 11170cc, Boxer-Twin “oilhead” engine’s torque. 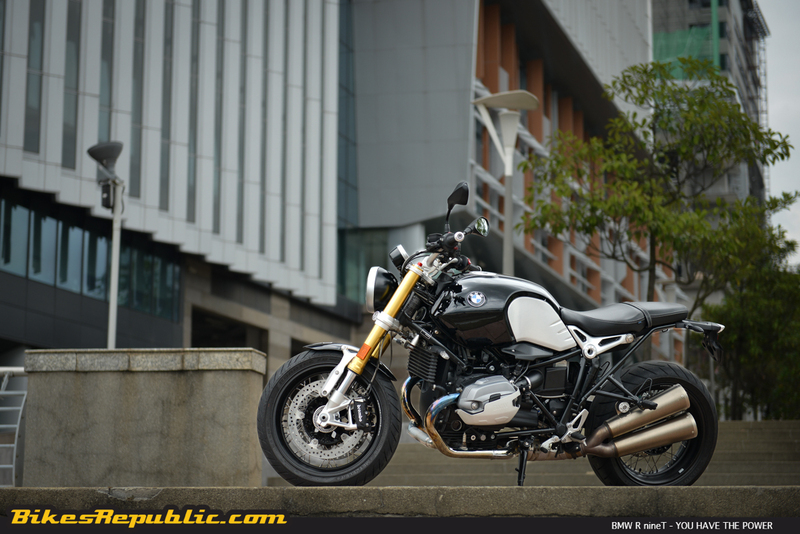 It was disconcerting at first, but it soon charmed its way in as part of the bike’s character. 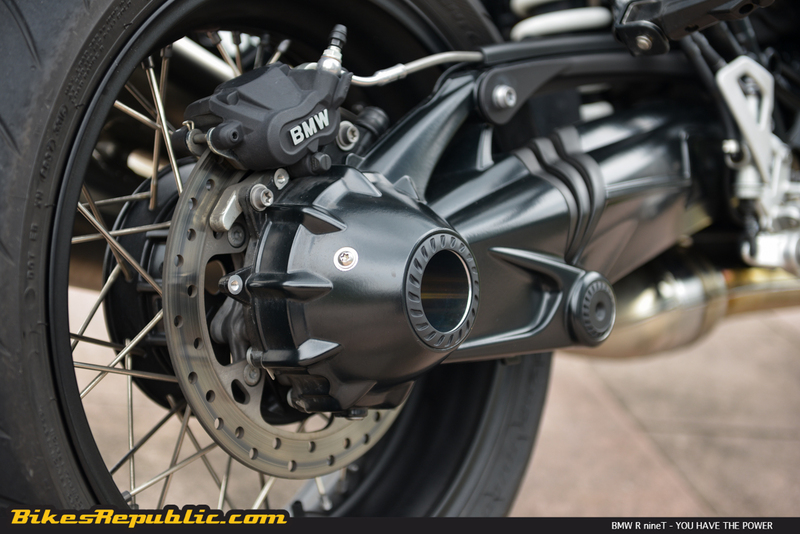 Dumping the clutch had the bike taking off to the tune of the characteristic Boxer engine roar and boom of the dual megaphone-style Akrapovic exhausts. The stock exhausts are already quite loud and soulful by BMW’s standards. 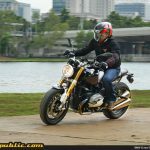 I always found myself grinning when I grabbed big fistfuls of throttle, just to hear them sing like Anthrax’s rhythm section. 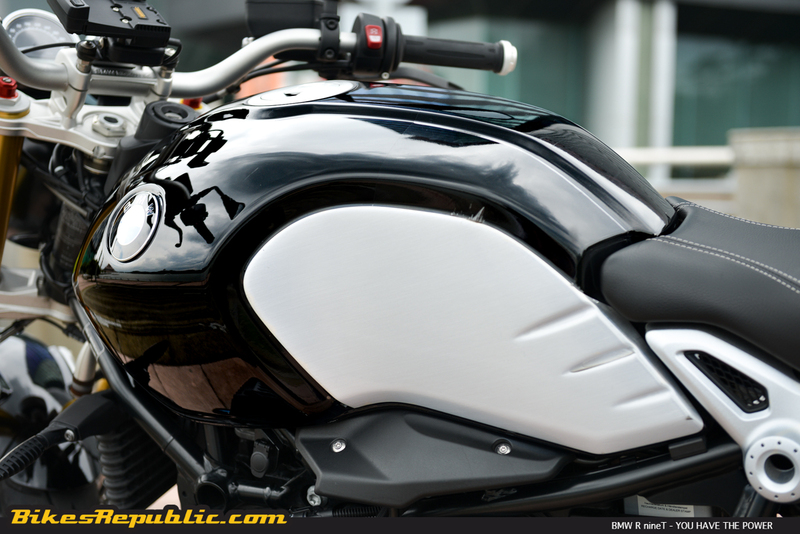 They gave the bike a distinctive and more importantly a fierce presence in traffic, surprising road users into giving you way. 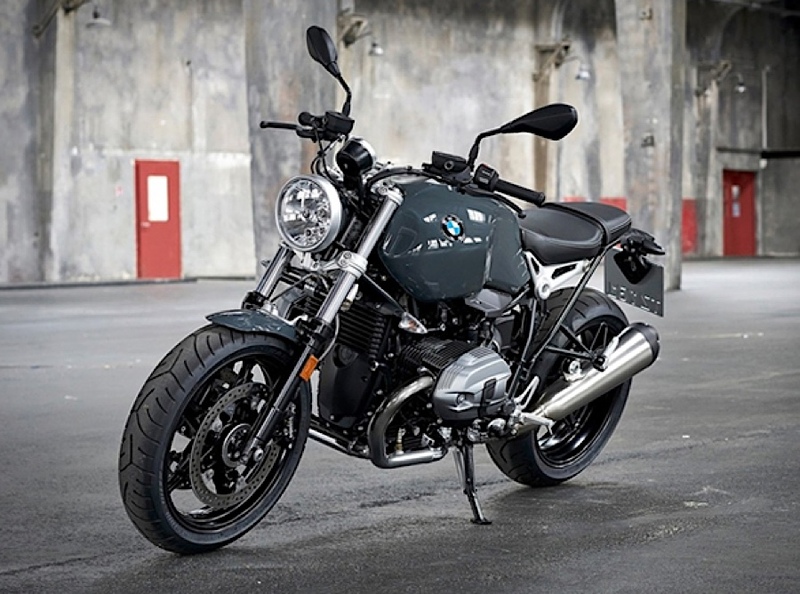 Keep twisting the throttle and the 110 Bavarian horses kick out 119 Nm of torque to the ground, giving the rider’s body a full taste of what it means by heavy-metal torque. The engine kept pulling and pulling, all the way to the redline. 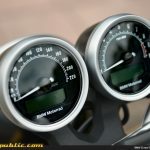 But the time it hits 6000 RPM, you’re doing 140km/h and you got to hold on tight as speed picks up quickly , lest it’s like being blasted off the stage by the sound system at Manowar’s concerts. 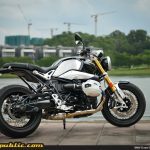 In the handling department, the R nineT is relatively agile (despite its big rake and trail, and long wheelbase) but also stable in long, high-speed corners. 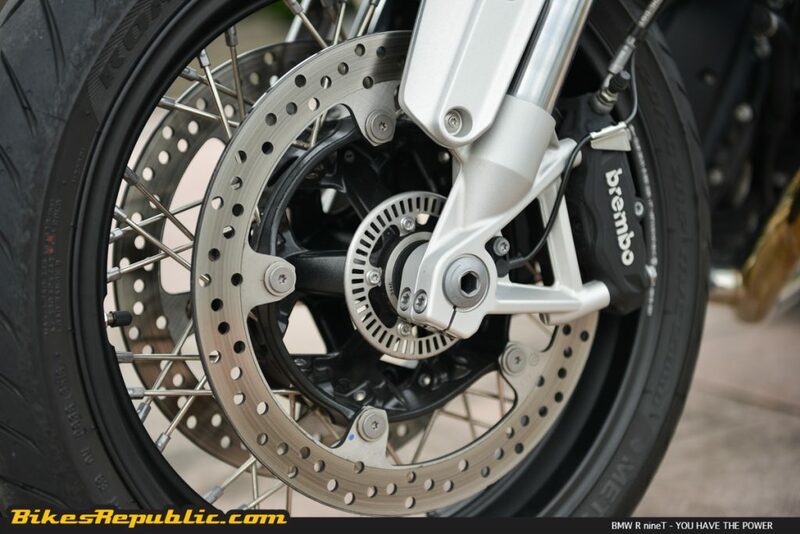 The beefy upside down forks are the traditional set up without BMW’s signature Telelever . 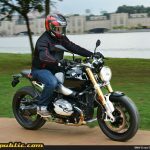 That equates to feeling every signal the front tyre sends your way in terms of grip level, lean angle, road surface character, braking pressure. 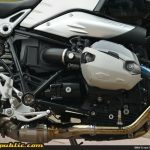 The rear suspension uses BMW’s ubiquitous Paralever single-sided swingarm to tame the Boxer-Twin’s torque through the shaft. 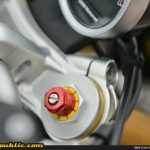 The rear shock is adjustable for preload and rebound damping but there isn’t a need to do so, as the stock settings are already well-calibrated. 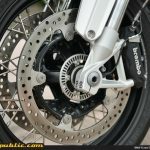 The front brakes are strong and a two-fingered pull usually put too much retarding force, causing the bike to pitch forward hard. 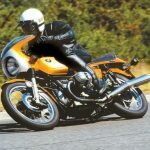 Rolling off the throttle calls up a good deal of back-torque to assist in emergency braking, too. 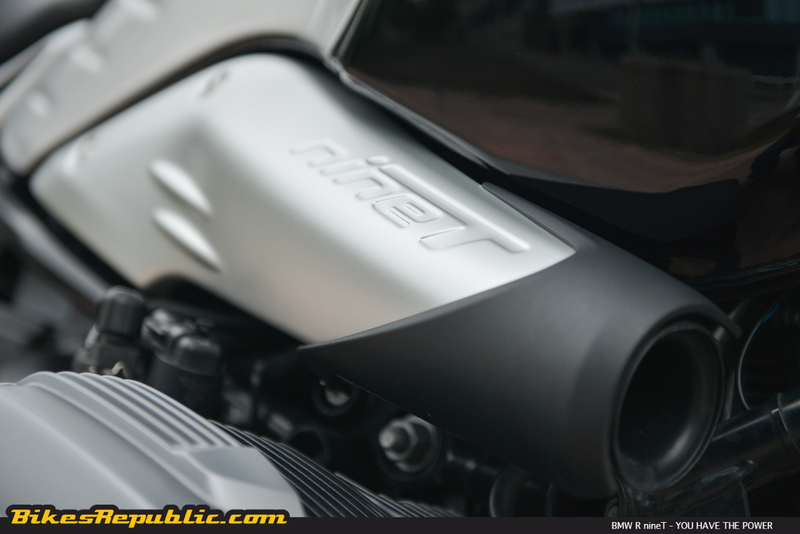 Combining the engine’s character and handling traits equals an experience like Ritchie Blackmore’s orgasmic guitar solo in Highway Star. 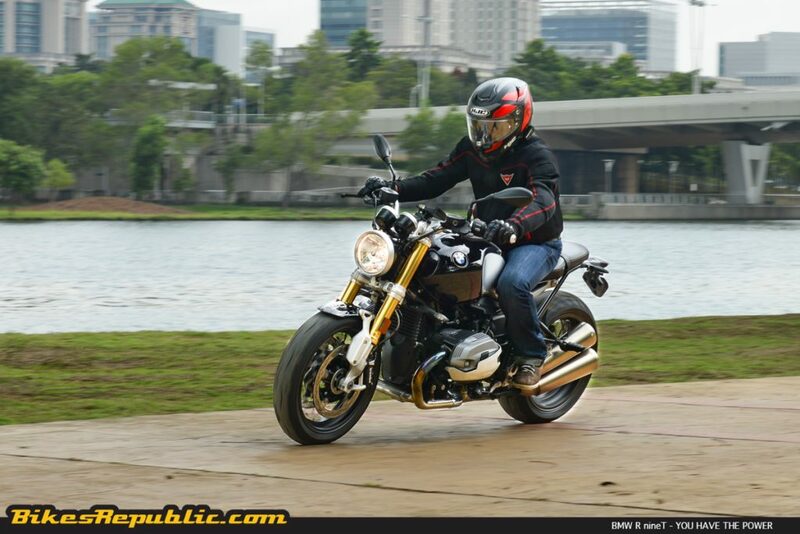 Charging through traffic was all a matter of utilizing the engine’s torque, brakes and wide handlebar. Overtaking a long row of cars was just a twist of the wrist away. 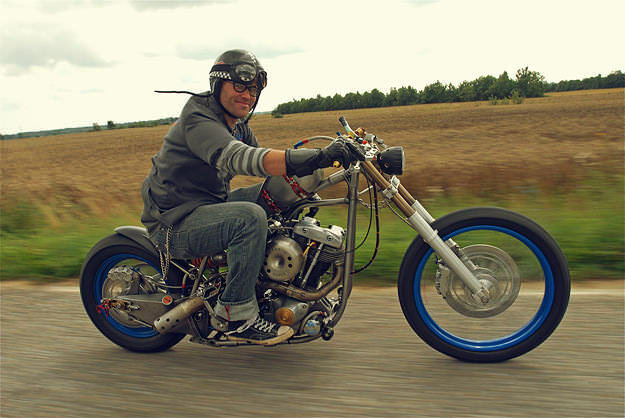 Steering was just a small tap on the handlebar. Stopping was a finger pull ahead. It was like listening to Paradise City: Calm one moment, before everything bursts into exhilaration. 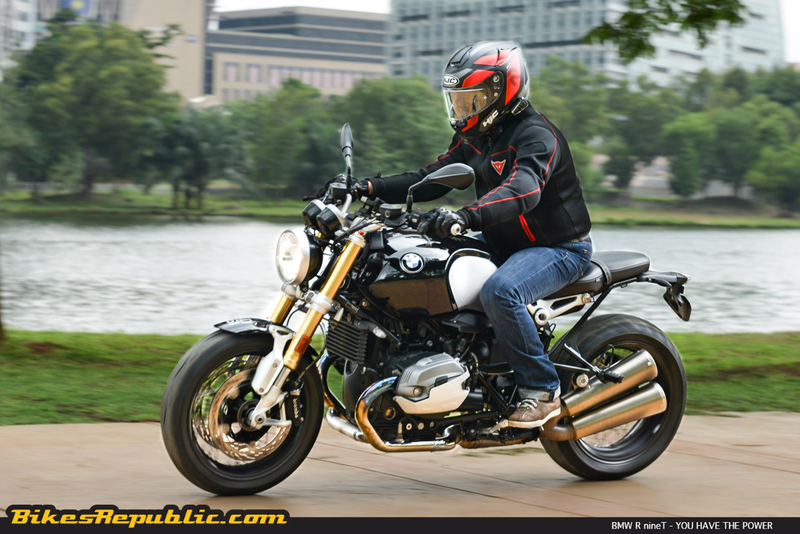 Besides functionality, the R nineT has already given a set of good looks. 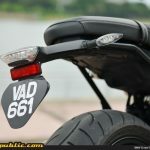 It looks beefier hence more aggressive. 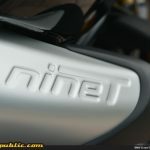 That, the white and blue badge and its distinctive voice had people staring at it everytime. 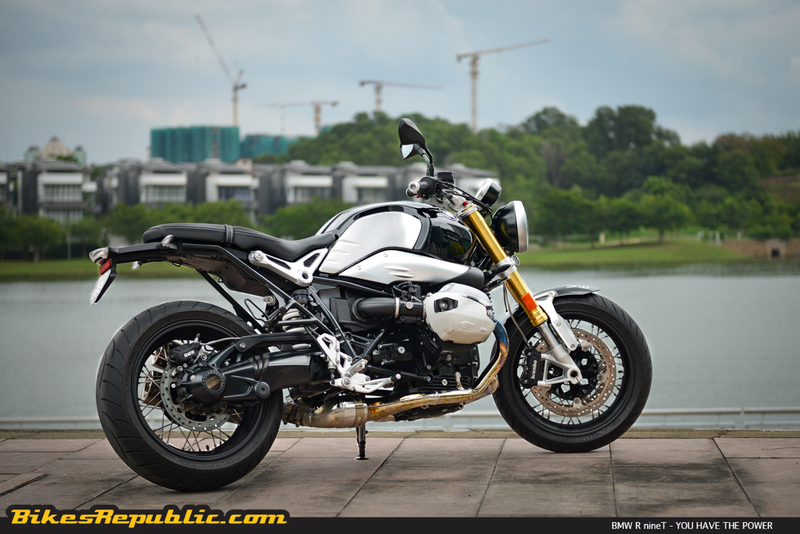 I could only imagine how a customized R nineT would have people flocking over in droves. 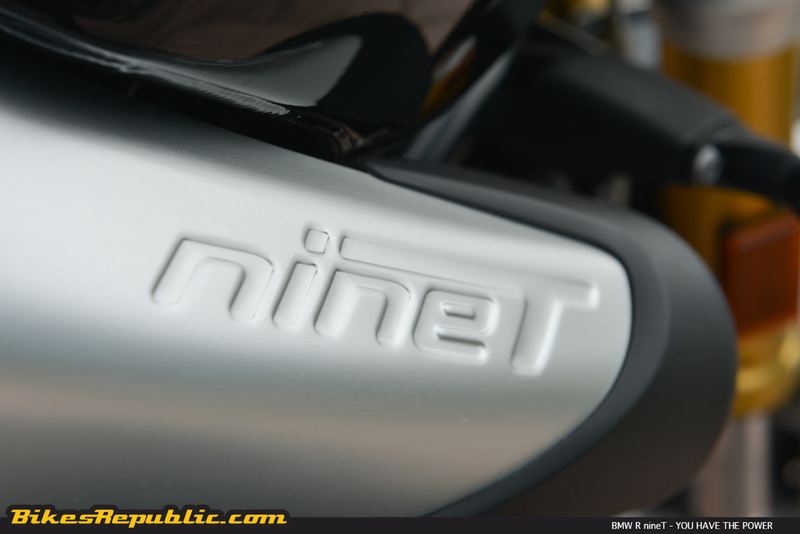 So, what is the R nineT? 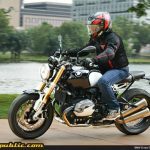 It’s a standard bike which rides like a naked sportbike, but charming as an old school sportbike like the R90S (how I wish I could ride one!). In musical analogy, it’s like old school rock mixed with new rock for a different experience. 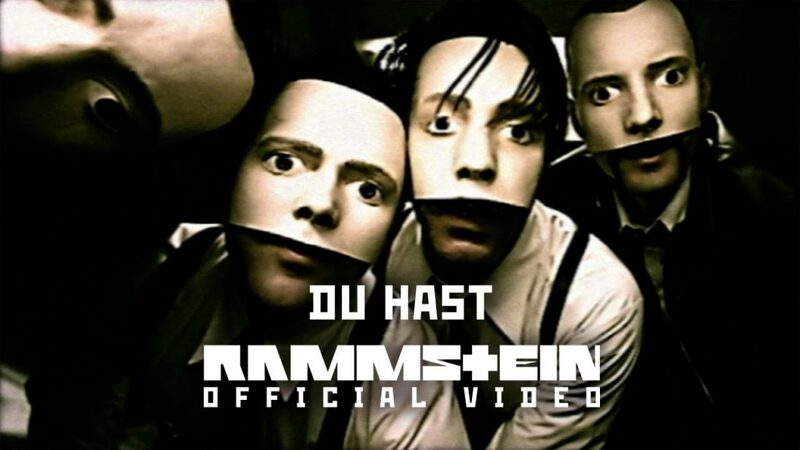 To be frank, as I’ve mentioned earlier, I’ve never liked Rammstein’s Du Hast. But I came to appreciate it after testing the BMW R nineT, because like the song, it has a rebellious edge. 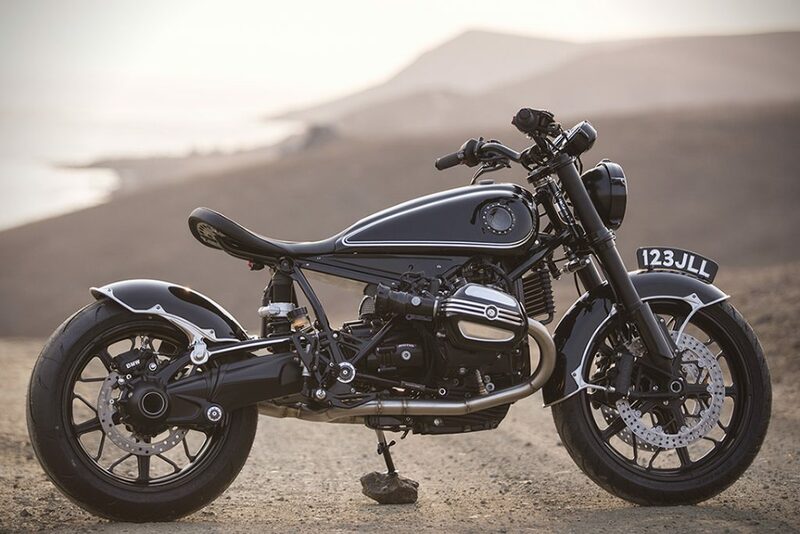 It could well be BMW’s hooligan bike. 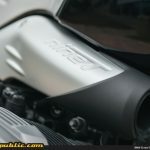 Yes, it does, even for a BMW. 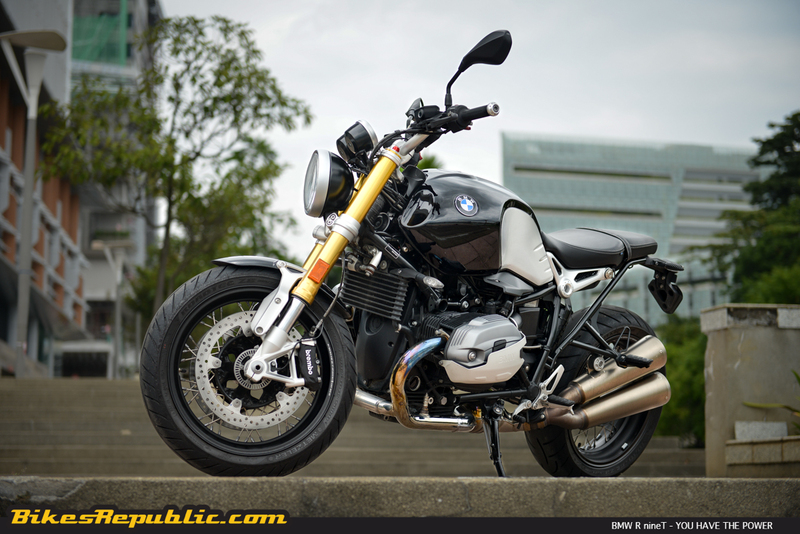 Perhaps it’s best to sum up the BMW R nineT in German. Du hast die leistung (You have the power).